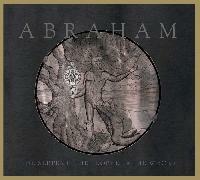 If your into ISIS, Neurosis, The Ocean and Cult Of Luna then get ready to add Abraham to your must have Sludge/Post-Metal bands. The guys have really excelled themselves here. They have written a blistering album that should set them amongst the leaders of the new breed of Sludge/Post-Metal artists. This record is not an easy listen by any means but for those who choose to give this record a try, they will surely be rewarded.